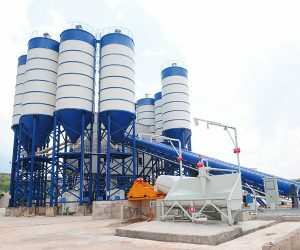 How to choose the main machine and the batching machine of the concrete mixing station has been told. Here we will talk about how to choose the appropriate equipment for the concrete mixing station. As one of the important raw materials of concrete, cement plays a very important role. The choice of cement supply equipment should be carefully treated. At present, cement bunker is used as storehouse for storing cement in concrete mixing plant. Its purchase needs special attention. We need to choose cement storehouse with good sealing and strong wall thickness. At the same time, as the powder conveyer, the screw conveyer requires compact structure, small cross section area, good sealing, flexible process layout, easy dismantling, loading and moving. In concrete mixing plant, the requirement of water weighing bucket body is not too strict. As a rule, for the additive bucket body, if it is corrosive, it needs strong anti-corrosion performance of raw materials, and the choice of pump and siphon pump needs the general standard of the national standard. The purpose is to ensure its quality, if the selection of non – standard small factory products, equipment easy to damage, update maintenance is more troublesome. The transportation equipment of the concrete mixing station must be selected according to the terrain and the construction equipment of the construction site. It is often used to carry the tanker. Of course, if there are other requirements, it can be selected according to the situation. This entry was posted in Solution and tagged Camelway Machinery, concrete mixing station, FAQ by camelway. Bookmark the permalink.